Home → News → The Latest → Happy Halloween! October has always been one of my favorite months. The colorful leaves and chill in the air are very inspiring. Although Jake won’t be with me this Halloween, he was often the first in line when it came to trying on Halloween costumes. 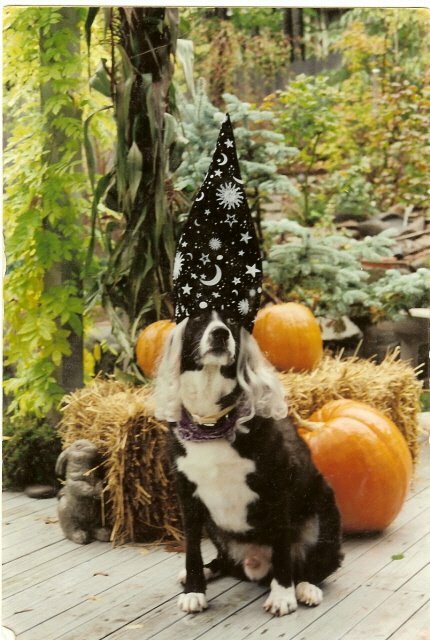 I know he’d understand my sharing this picture – he certainly wore that wizard hat well! To all you ghosts and goblins…Happy Halloween!